The Rural Technology Initiative is involved in research and technology development that relates to many different forestry organizations and communities. Often these relations will present an opportunity for RTI to communicate the objectives and progress of its projects to an annual meeting, consortium, seminar or field day. Below are some of the events that RTI has been involved in. This PDF is the presentation given at the conference by Larry Mason of the Rural Technology Initiative. To see the narrative text that accompanies this presentation, place your mouse cursor over the icon in the upper left corner of each slide. The College administers five interdisciplinary centers, two of them jointly with other UW academic units. Centers at the UW generally focus on research and outreach. Although centers do not administer academic programs, they are an important resource for graduate and undergraduate student learning and research. View the streaming video presentations from this review by clicking here. This symposium is a collection of short presentations that reflect the wide array of research being done by graduate students at the College of Forest Resources. The Rural Technology Initiative recorded and produced the presentations to streaming video and made them available here. Global climate change and the impact of fossil fuels has gained prominence in science and politics. During the CFR Centennial Celebration, this showcase was presented to highlight some of the work going on at the college with regard to alternative biofuels and bioenergy. View the streaming video presentations from this review by clicking here. 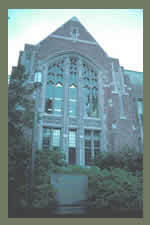 The Northwest Environmental Forum met on the University of Washington campus in Seattle on September 18, 2007, with 88 leaders in natural resources participating. The presentations and discussion was meant to keep stake holders current with progress in keeping Washington forest lands forested, and to garner input for future direction. View the streaming video presentations and discussion from the forum. A report from the forum is available here . This symposium is a collection of short presentations that reflect the wide array of research being done by graduate students at the College of Forest Resources. The Rural Technology Initiative recorded and produced them to streaming video and made them available here. The WSU Forestry Extension hosted another Fall Forestry Seminar that was postponed until February because of inclement weather. The seminar gave practical “How To” information on managing vegetation that makes up family forest understory. The presentations were recorded and can be viewed here. There are 16 presentations from this Forum that cover the findings of the five studies on timber economics, forest structure, and forest conversion authorized by the 2005 Legislature in response to the 2004 Forum. The Forum was constructed to consider the findings of the studies, as presented by the researchers and found in the reports, and propose potential policy outcomes from those findings. The Western Forest Economists (WFE) have been meeting each Spring. The three-day conference offers those interested in forest economics a chance to discuss current research, issues, and trends. This year RTI President Bruce Lippke and RTI Forest Economist Kevin Zobrist participated. Click here for the proceedings and PowerPoint presentations. 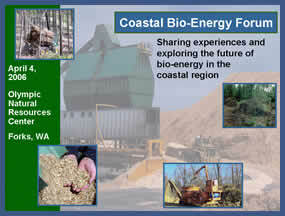 Sponsored by the Columbia-Pacific Resource Conservation and Economic Development District, the North Olympic Peninsula Resource Conservation and Development Council, the Olympic Natural Resources Center, and the Rural Technology Initiative, this forum brought together experts and leaders from Washington’s Coastal Communities to discuss the opportunities and obstacles for biomass-to-energy development. The Entire Proceedings are available in streaming video. Over 90 people attended and participated in this forum to discuss potential solutions for Saving Washington’s Working Forest Land Base. The attendees included leaders from the forestry industry, government, environmental groups, Native American tribes, land conservation and financing organizations, foundations, and the Washington legislature. The published proceedings can be found by clicking here. The annual seminar focused on equipping new forest landowners with knowledge that can be immediately used to better manage their land. For nearly two decades forest landowners have been attending these annual events with 2005 proving to be another success with nearly 100 attendees. Click here to watch the presentations in streaming video. The University of Washington and RTI are reporting to the House Committee on Resources and the USDA on the results of a recently completed study involving biodiversity on intensively managed forests. Click the above dates for more information. The purpose of the Denman Forestry Issues Series is to provide information and discussion on timely forestry and natural resources issues. As with all the activities associated with an academic setting, the ultimate goal is to inform and educate students, faculty, staff and the public. Kevin Zobrist, RTI's forest economist, was invited to present “Economic Viability: The key to keeping forests green”, and sit on the discussion panel. Here's a link to a PDF file of Kevin's presentation. Click here to watch the streaming video of this Denman series. NCSSF's mission is to improve the scientific basis for the design, conduct and evaluation of sustainable forest practices in the United States. NCSSF sponsors work of the highest technical quality that is relevant to the urgent needs of forest managers, practitioners and policymakers. They invited Tom Hinckley, Kevin Zobrist and Michael Andreu to the annual meeting in Portland, ME to present the results of the work accomplished with their research grant. The presentation title was "Templates for forest sustainability on intensively managed private forests". This conference was to present knowledge and technology transfer theories, methods, and case studies toward improving the ability of forest science organizations to understand how to successfully influence the adoption of innovations they generate. Bruce Lippke, Larry Mason, Jim McCarter and Matt McLaughlin represented RTI as presenters at the conference. For 40 years, the Western Forest Economists (WFE) have been meeting each Spring. This three-day conference offers those interested in forest economics a chance to discuss current research, issues, and trends. RTI had Kevin Zobrist and Elaine Oneil present on regulatory effects on forest economics. The WFFA is the voice for family tree farmers in Washington State. Their mission is to protect the economic viability of the small forest landowner while providing forest resource benefits such as clean water, clean air, and fish and wildlife habitat. RTI's Kevin Zobrist and Ara Erickson went to the annual meeting to spread information on new forest technologies. Since 1900, the Society of American Foresters has been dedicated to improving the health and productivity of America's forests. Elaine Oneil and Roje Gootee were invited to present during the 3 day event. 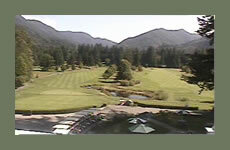 The alder symposium was attended by over 170 interested individuals including: small private forest owners, contractors, industrial foresters, state and federal agency employees, land trust managers, forest consultants, tribal forest managers, extension services, and a host of faculty and staff from university research institutions. The entire proceedings have been edited and converted to streaming video, and can be viewed from the Alder Symposium webpage. The annual review is a meeting with RTI constituents, designated as a platform to present projects from the previous year and plan for the year ahead. 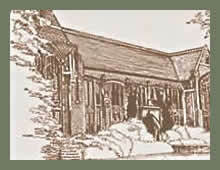 Click here to go to the Presentation Directory from the 2005 Annual Meeting. This workshop was designed to give family foresters the knowledge and skills to manage their property. It was meant to strengthen the skills of consulting foresters, state-employed service foresters, and other natural resource professionals who work with family forest owners; and to serve as a forum to provide updates on emerging technology and knowledge applicable to family forests. Click here to go to the streaming video directory for this workshop. 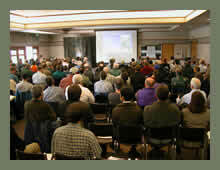 This one day seminar took place at UW Pack Forest. It was an opportunity for owners of private forest land, professional foresters, and accredited loggers in Washington to learn about existing and future technologies as applied to managed second-growth forests. The presentations from the seminar are available on-line via streaming video. Click here to go to the directory. The Rural Technology Initiative was invited to showcase the program to CFR alumni. The presentations centered on the use of software technology and how it is being used to improve forestry in Washington. The showcase also did well to reveal the partnership that has grown between the College of Forest Resources and the Rural Technology Initiative. 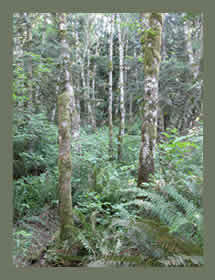 The Washington Hardwoods Commission was created by the WA State Legislature to promote hardwoods in our state's forests. Kevin Zobrist gave a presentation titled "Economic and Silvicultural Opportunities for Red Alder Management." NCSSF's mission is to improve the scientific basis for the design, conduct and evaluation of sustainable forest practices in the United States. NCSSF sponsors work of the highest technical quality that is relevant to the urgent needs of forest managers, practitioners and policymakers. They invited Tom Hinckley and Kevin Zobrist to the annual meeting in Boulder, CO to present information about "Templates for forest sustainability on intensively managed private forests". The Forest Products Society is an international not-for-profit technical association founded in 1947 to provide an information network for all segments of the forest products industry — from standing tree to finished product. Larry Mason presented "Market and Non-market Values of Fuel Reductions". View Larry's presentation by clicking here, or other presentations from the conference by clicking here. ANREP is a national association for Cooperative Extension Service (CES) professionals working in environmental education, fisheries, forestry, wood sciences, range, recreation, waste management, water, wildlife, and related disciplines. Luke Rogers and Don Hanley attended this year's annual meeting on May 18 in Wheeling, West Virginia, and Luke presented "Streaming Video Plus - A New Internet Experience That Is More Like A Live Classroom". Here's a link to the poster presentation. Since 1900, the Society of American Foresters has been dedicated to improving the health and productivity of America's forests. Kevin Ceder was invited to present on the Landscape Management System and how it can be used in wildlife habitat modeling. 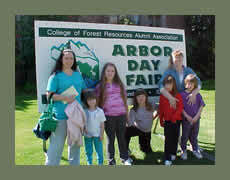 The RTI continues to volunteer at the UW Arbor Day Fair held at the UW's College of Forest Resources. We recognize the importance of teaching our youth the value of our forests, and use these three days to share this importance with them. If you're interested in volunteering next year, click here. The WFFA is the voice for family tree farmers in Washington State. Their mission is to protect the economic viability of the small forest landowner while providing forest resource benefits such as clean water, clean air, and fish and wildlife habitat. 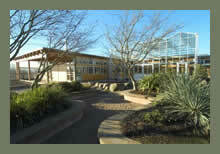 RTI's Larry Mason and Elaine Oneil went to the annual meeting to spread information on new forest technologies. The ITC is a nonprofit nation-wide consortium of Indian Tribes, Alaska Native Corporations, and individuals dedicated to improving the management of natural resources of importance to Native American communities. Larry Mason and Luke Rogers instructed a one day Landscape Management System training session during this event. 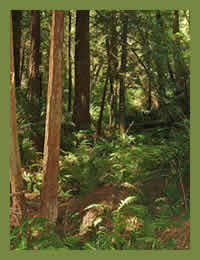 The Denman Forestry Issues Series provides information and discussion on timely forestry and natural resources issues. Larry Mason participated in the Winter 2004 series by presenting "Market and Non-market Values of Fuels Reductions". You can view his presentation, and others, via UWTV streaming video by clicking here. RTI hosted this one day conference at the WSU-Puyallup Research and Extension Center on November 18th, 2003. 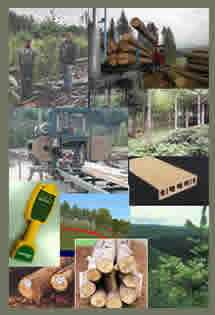 It covers different innovations in forest management, forest products, and marketing. The presentations are now available through streaming video, and can be viewed by clicking here. 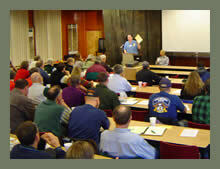 This one day seminar took place at UW Pack Forest in Eatonville on November 15th, 2003. 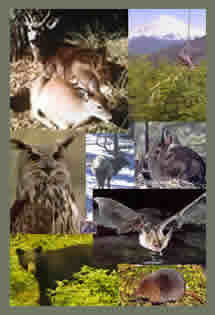 It goes into the effects of small forest management on the wildlife in Washington. Some of the presentations from the seminar are available on-line via streaming video. Click here to go to the directory. 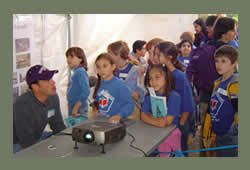 RTI was invited to to make two presentations during the meeting, and also lead a Riparian Management Zone field trip. Below is Larry Mason's slide presentation and video coverage of the field trip. Larry Mason's slide presentation: Opportunities, Challenges; Promotion of Hardwood Planting & Management on Private Lands. The RMZ field trip, lead by Larry Mason. For over 30 years, the Western Forest Economists (WFE) have been meeting each Spring. This three-day conference offers those interested in forest economics a chance to discuss current research, issues, and trends. 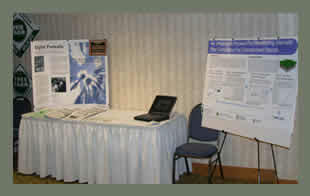 RTI had a number of presentations at this years Western Forest Economist annual meeting (May 5-7, 2003). This is a special environmental education event for organized school groups K-3rd grade at the University of Washington's College of Forest Resources. This year it took place April 30 - May 2, 2003, and attracted over 700 youths from the Seattle community. RTI ran the "High Tech Forest" at the fair for the second year in a row, and received very positive responses from both the children and their teachers. Here is a link to the "Virtual Forest" that was put together and presented by RTI at the fair. The Washington Farm Forestry Association is the voice for family tree farmers in Washington State. In an effort to reach the NIPFs of Washington, RTI made two presentations at the meeting. Larry Mason presented on red cedar and red alder as alternatives to Douglas-fir, and Tom Brannon presented on thinning Eastern Washington forests. 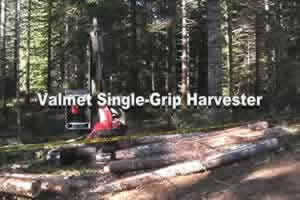 This is just one of the many single-grip harvesters we saw at the show. There was equipment and school kids everywhere. Click to see the video.